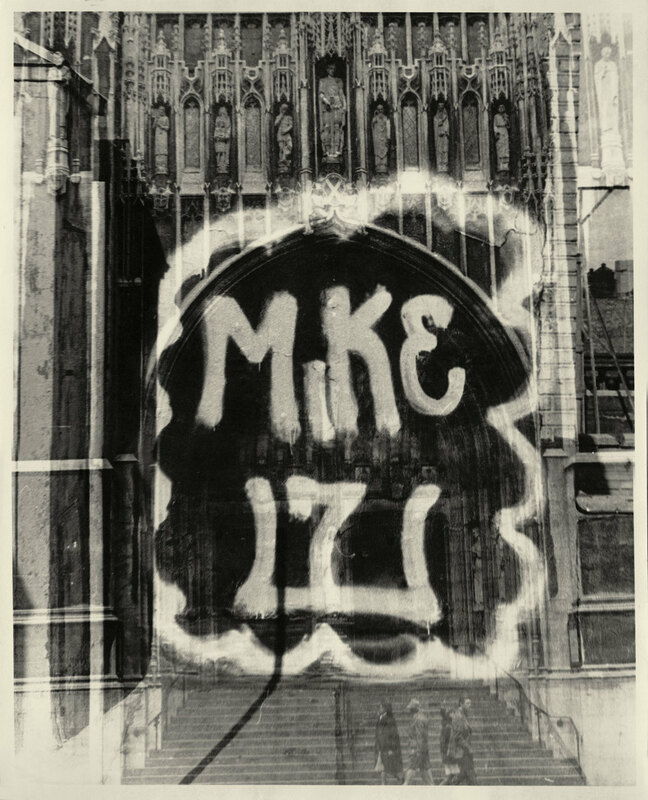 Before artists such as Banksy and Shepard Fairey became household names, there were graffiti pioneers who were responsible for adding such things as the first ever crown or arrow to their moniker beginning the evolution of style. 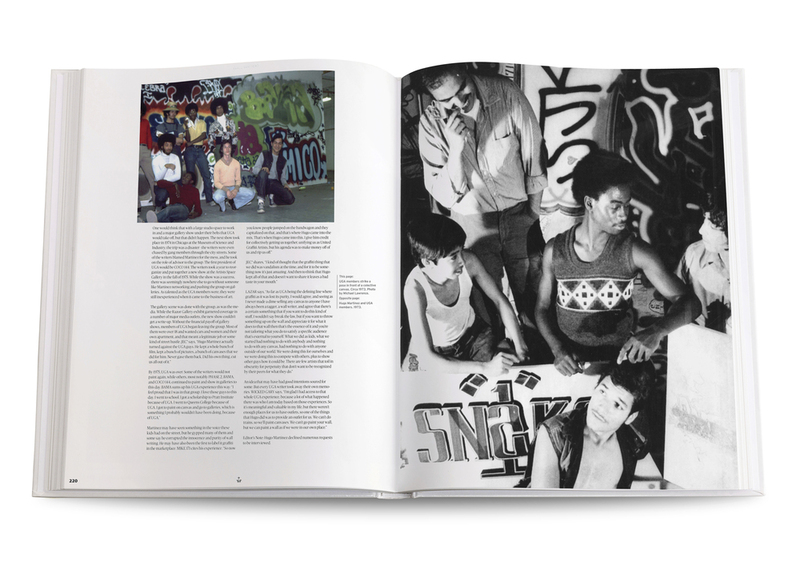 Wall Writers: Graffiti in its Innocence is a documentary film and 350+ page companion book. Both film and book were conceived and directed by Roger Gastman. Legendary filmmaker John Waters narrates the documentary and the book’s forward is written by acclaimed artist Barry McGee. Graffiti and street art today are largely considered the rock n’ roll of visual art, and Wall Writers is the story of its birth from Philadelphia and New York City during 1967 to 1973. Wall Writers is an exclusive account of the beginnings of the largest art movement of the Twentieth Century. No one has been able to tell this story until now, because no one could get complete access to the full cast of the movement’s originators featured in this film. Most of these artists have given their first ever on-camera interviews for this project. Wall Writers offers a once-in-a-lifetime look at the origin of graffiti and street art that continues to capture the imaginations of young people the world over. society during a period of social turmoil in the late 1960s and early ‘70s, and takes a closer look not only at early graffiti’s place on the wall but its place in the culture of the time. Featuring unprecedented access to and exclusive interviews with graffiti’s originators CORNBREAD, TAKI 183, LSD OM, and more than a two-dozen others. Testimonies from journalists, historians and politicians who bore witness to the wall-writing revolution are also included in the film. 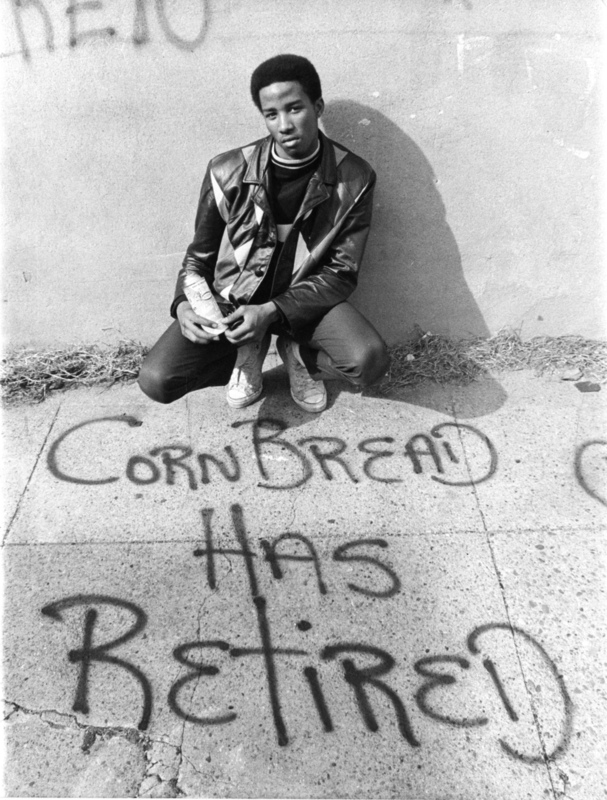 More comprehensive than anything on this subject, Wall Writers explores not only early graffiti writing itself but the writers creating it and the culture that drove them to write -- be it a need to rebel against the government, to pass a message, or simply be recognized by society. The film’s exclusive interviews are coupled with rare photographs and archival footage, most of which have never been seen on screen before and serve as historical reference points as well as evidence of early graffiti that was buffed away decades ago. From graffiti’s humble beginnings in 1967 to the first painting being sold in 1973, Wall Writers reveals the context of the start of a movement that would eventually grow to transform city life, public transit, public art, and ultimately visual art the world over. Photo used with permission of Philadelphia Inquirer ©2014. All rights reserved. BAMA poses in front of his painting "Orange Juice" at the Razor Gallery. 1973. COCO 144 strikes a pose in front of his canvas at UGA . Circa 1973. MIKE 171 double exposure, circa 1971. Wall in the Bronx featuring Nixon posters and a CHARMIN 65 tag. SJK 171 at UGA, circa 1973. SNAKE 1, STATIC 5, FLASH 191, and STITCH 1 at the P.S. 189 school yard in Washington Heights, New York. Circa 1973. ROCKY 184 and STITCH 1. Circa 1972. Photo courtesy of ROCKY 184. UGA canvas featuring STITCH 1 -N- ROCKY 184. CORNBREAD declares he has retired. 1971.
buy wall writers the film today! The Wall Writers companion hardbound book explores graffiti’s eruption into mainstream society in the period of social turmoil in the late 1960s and early ‘70s, and takes a closer look not only at early graffiti’s place on the wall but its place in the culture of the time. More comprehensive than any other book on the subject, Wall Writers explores not only early graffiti writing itself but the writers creating it, and the culture that drove them to write -- be it a need to rebel against the government, to pass a message, or simply be recognized by society. Hundreds of images of everything from spray paint advertisements to commercial greeting cards to images of buildings completely covered in spray painted monikers are included, and reveal the context of the beginnings of a movement that would eventually grow to “transform city life, public transit, public art, and ultimately visual art the world over.” Includes interviews and profiles of some of the most prolific writers of the time, including TAKI 183, CORNBREAD, and dozens more. The companion hardbound book is filled with extended interviews, exclusive photos and essays and more in depth details to help tell all the complete truth and gritty details. Wall Writers explores graffiti’s eruption into mainstream society in the period of social turmoil in the late 1960s and early ‘70s, and takes a closer look not only at early graffiti’s place on the wall but its place in the culture of the time. More comprehensive than any other book on the subject, Wall Writers explores not only early graffiti writing itself but the writers creating it, and the culture that drove them to write -- be it a need to rebel against the government, to pass a message, or simply be recognized by society. Hundreds of images of everything from spray paint advertisements to commercial greeting cards to images of buildings completely covered in spray painted monikers are included, and reveal the context of the beginnings of a movement that would eventually grow to “transform city life, public transit, public art, and ultimately visual art the world over.” Includes interviews and profiles of some of the most prolific writers of the time, including TAKI 183, CORNBREAD, and dozens more.